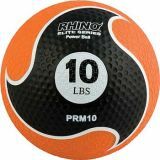 100lb traditional weight set-heavy-duty vinyl. 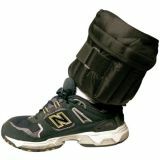 Includes 2 20lb., 4 10lb., 2 8lb. 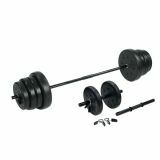 weights, 2 locking spring clips, 4lb. straight bar with textured grips. 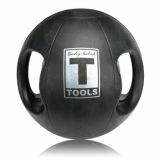 105lb traditional weight set-heavy-duty vinyl. 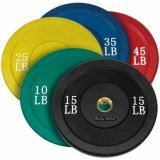 Includes 2 20lb., 4 10lb., 2 5lb. 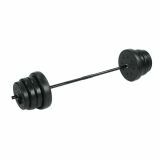 weights, 2 locking spring clips, 4lb. straight bar with textured grips. 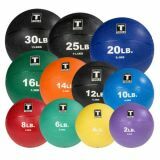 These durable and versatile medicine balls feature a hollow synthetic rubber construction for consistent bounce and durability. The textured surface is designed with our ultra durable Rhino Skin® that ensures superior grip and handling during use. 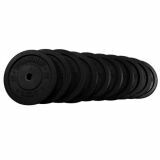 24Lb Dark Purple Padded Weighted Bar - Grip Diameter 1.50"
Rubber Bumper Plates, Black, 17.7"
25Lb Black Bumper Plates 17.7"
Rubber Bumper Plates, Colored, 17.7"
25Lb Yellow Bumper Plates 17.7"
For a classic medicine ball suitable for multiple exercise and fitness routines, try the Rubber Medicine Ball. 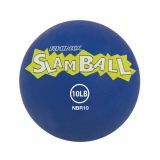 This ball features a rubber construction with a hollow air-filled core, and a channeled and textured surface provides grip and control.